We've got your Scion Covered. We're excited to let you know that we're welcoming all Scion lovers and drivers into the Toyota family. That means that just like before, if you drive a Scion vehicle, you can still bring it to your local Toyota dealership and expect the same unprecedented service standards as before. Plus, we honor all Scion factory warranties, meaning that as a Scion owner, you won't be missing a beat. From all of us in the Toyota family, here's your warm welcome. 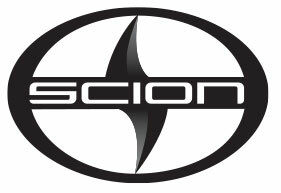 Conceived as an effort to provide quality cars that sacrifice neither creativity nor fun, Scion started back in 2003. Known then as a test laboratory division of Toyota Motor Sales, the project has grown immensely since then, leading to the creation of memorable vehicles and inspiring interactions. The movement was characterized by its intent to engage with people who are both passionate about life and their vehicles, as well as their desire for a no-haggle buying experience. Although the Scion line has been discontinued, its spirit lives on within the Toyota family. Previously known as the Scion iA, iM and FR-S, these vehicles are now officially known as the new 2017 Toyota Yaris iA, Corolla iM and Toyota 86. Looking to serve both current Scion owners, as well as future owners of these newly conceived models, Toyota has stepped forward to meet the need for quality and professional service for all Scion vehicles, as well as those who follow in its path. Scion may have joined the Toyota family, but that doesn't mean you don't get to enjoy the same coverage you were promised when you bought your vehicle. Scion Service Boost is more than a no-cost maintenance plan. It's freedom to take to the road knowing that your Scion will receive proper care by trained technicians using Genuine Toyota Parts, and that you'll receive roadside assistance should you need it during the coverage1period. Normal factory-recommended maintenance services2for up to 2 years or 25,000 miles, whichever comes first. No cost 24-hour roadside assistance3for up to 2 years4from the date of purchase. Service reminders mailed to you prior to your next scheduled service. If you're interested in learning more about our continued commitment to upholding and serving the Scion brand or have questions regarding your vehicle's maintenance plan, please feel free to contact us directly. We're excited to continue working with our customers, servicing some of the finest vehicles available on the road today. 1Scion Service Boost is more than a noâ€‘cost maintenance plan. It's freedom to take to the road knowing that your Scion will receive proper care by trained technicians using Genuine Scion Parts, and that you'll receive roadside assistance should you need it during the coverage  period. Includes all other recommended services in the Maintenance Guide and excludes those items listed under Special/Severe Operating Conditions. Additional services will vary depending on the vehicle. Includes emergency supply of fuel, does not include parts and other uids. 4iQ comes with an additional year of roadside assistance for a total of three (3) years from the effective date. 5Scion Service Boost Plus provides extended coverage of factory-recommended maintenance for up to a total of 5 years or 75,000 miles, whichever comes rst. Coverage is effective as of the vehicle's date of rst use, and begins at the expiration of the complimentary maintenance plan. Services included vary by plan purchased.